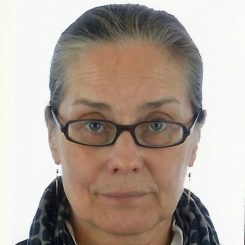 Renja Suominen-Kokkonen, PhD, Helsinki, Finland – Senior Lecturer in Art History at department of Philosophy, History, Culture and Art Studies at University of Helsinki, Finland. She has worked as a director of Finnish Doctoral Program for Art History from 2009 to 2013. She has several doctoral students in Art History and Architectural History at the Universities of Helsinki and Aalto and the Swedish speaking University of Åbo Akademi. She has also been the head of the research project, “A Portrait of Art History” (2008–2011) at the Academy of Finland, and she also lead the Nordic research network “Visions of the Past: Images as Historical Sources and the History of Art History” (2008–2012), financed by the Nord Forsk organization. She has published monographs and articles on the formation of the architectural profession in Finland and on early women architects. Her dissertation, The Fringe of a Profession, Women as Architects in Finland from the 1890s to the 1950s, from 1992 was the first scientific contribution to deal with architect women in Finland. Her research includes also articles and a monograph on modern architecture, especially on Aino Marsio-Aalto’s and Alvar Aalto’s collaboration, Aino and Alvar Aalto – A Shared Journey, 2007.